I’m back – finally ! you’d say – with a new post about my experience as a french expatriate. Again ! you’d say. Today, I couldn’t do otherwise : it’s been one year to the day since Gleb, Fluffy, Plioush and I left France. The irony is that I’m currently writing this post… from France, where I am spending two weeks with my family. That actually explains my recent small absence, but I’m still active on the social medias. Even if collecting the feelings of my two cats about this life changing experience would had been much more interesting, I couldn’t get a word from them and I decided it was easier to share my own thoughts. 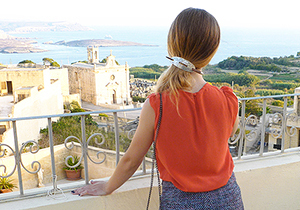 7 months ago, I already wrote a post in which I shared my experience as an expatriate on the maltese archipelago, and I believe you liked this post a lot. My feelings haven’t changed much since. This year, with its ups and downs, has probably been the best one so far, and today, I’m not ashamed to say it : I don’t think I will live in France ever again. I still have a hard time believing that one year has gone by. 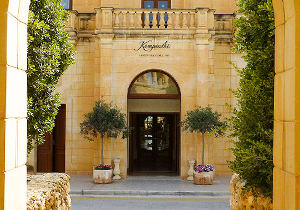 I have the feeling that I have discovered barely nothing of Gozo, this – yet so small – island where we unpacked our suitcases ! And yet, I walked on its beautiful beaches, I ran on its striking cliffs, I visited its pretty villages and I met a lot of its fantastic inhabitants. What is even more amazing is that I’m able to share all of that with all of you, thanks to this blog, which I started almost one month after my departure. Only a few years ago, if you had ask me my feelings about leaving France one day “for good”, I would have said no. Traveling, yes, that’s something I’ve always wanted to do. But leaving ? And not coming back ? I had everything I ever wished for in France : a family, some friends, my studies and a job… Leaving everything was meaningless to me. And then, I grew up and I started to realise that our system has a (big) lot of flaws, that this country was not the one I wanted to evolve in, even less raising my children in. It became clearer and clearer to me, to us, especially while watching Gleb starting his own company. God knows that France is not fair towards young entrepreneurs. In March, leaving France was an evidence. 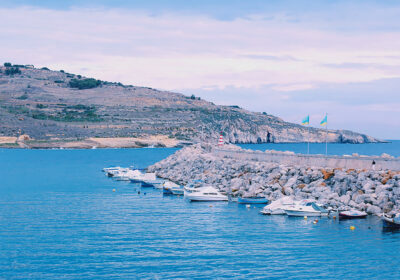 We announced the news to our family and friends, found a house in Gozo, emptied our flat from Rennes, lent our furnitures to some friends and bought our plane tickets for Malta. We were fortunate to leave with two other french guys, Gleb’s work partners, who decided to follow us in this adventure, and the disconnection has probably been easier this way. I was really afraid to be nostalgic all the time, to be homesick and to weep everytime I would mention my family. I’m quite emotive, so obviously, I was sure that was the way I would react. Strangely, I’ve never felt this way in the past year. 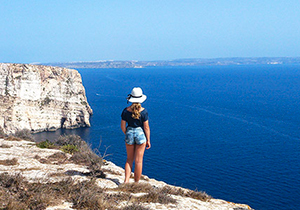 Gozo felt like home on the first day, I’ve never been homesick – even though I must confess that I am sometimes baguette-sick and apple cider-sick – and I’ve never felt a huge disconnection with my loved ones – thanks to the new technologies. Gleb and I are “home” in Gozo and we intend to stay here for at least a few years, maybe a lot more if the maltese flame keeps burning. We’re living a quiet and simple life here, which suits us, and we are serene about the fact the our children will one day be born on one of the safest islands of the world. In the meantime, we’re soaking up its beauty, we congratulate ourselves for the choice we made and we are grateful for this opportunity we had : living a happier life elsewhere. To this year and to all the other years to come !